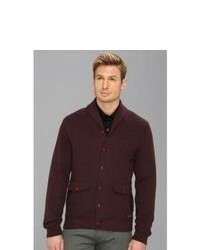 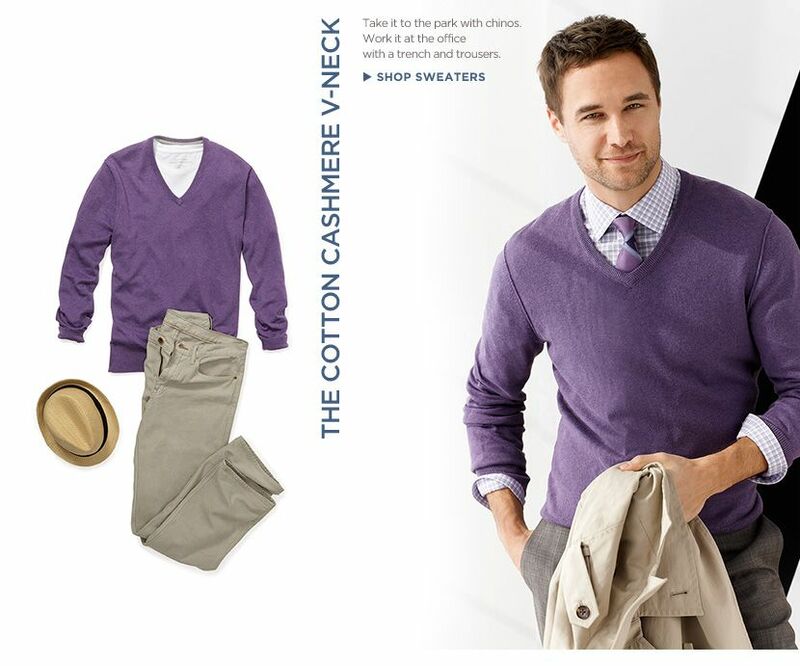 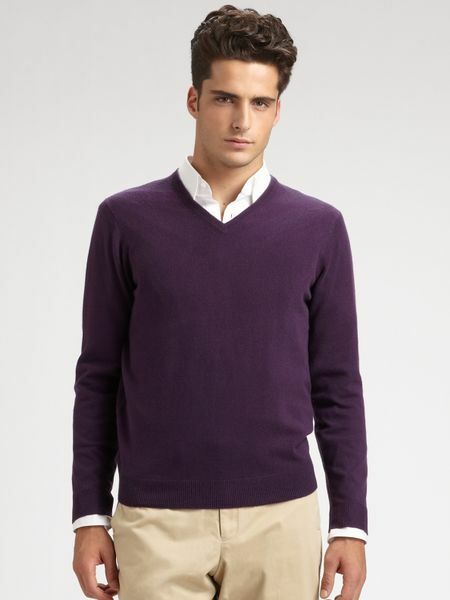 Perfect the smart casual look in a purple sweater and a white classic shirt. 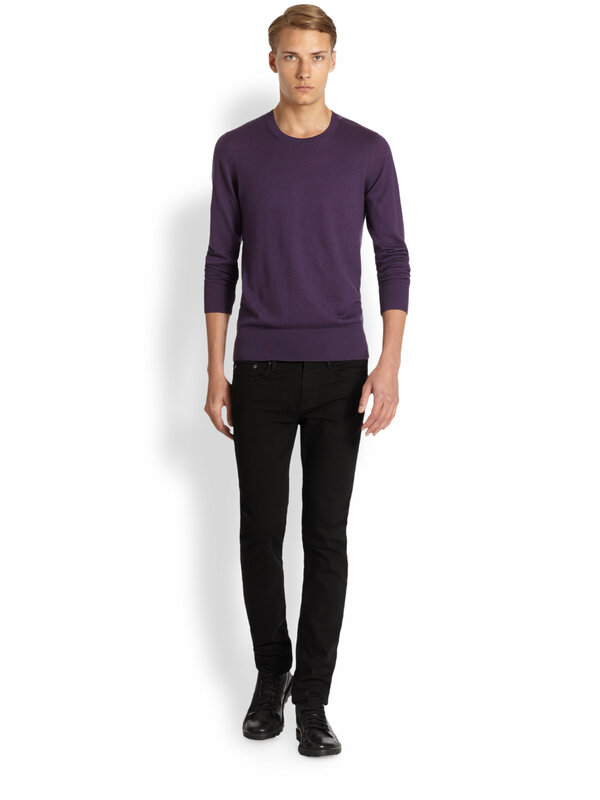 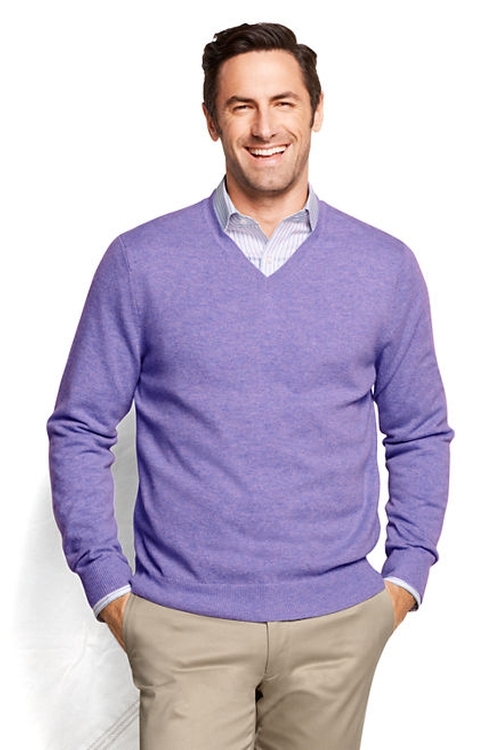 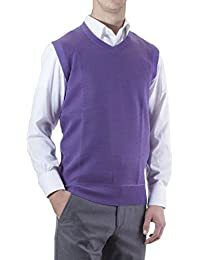 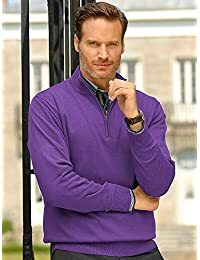 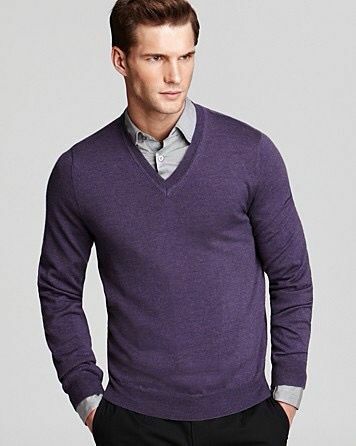 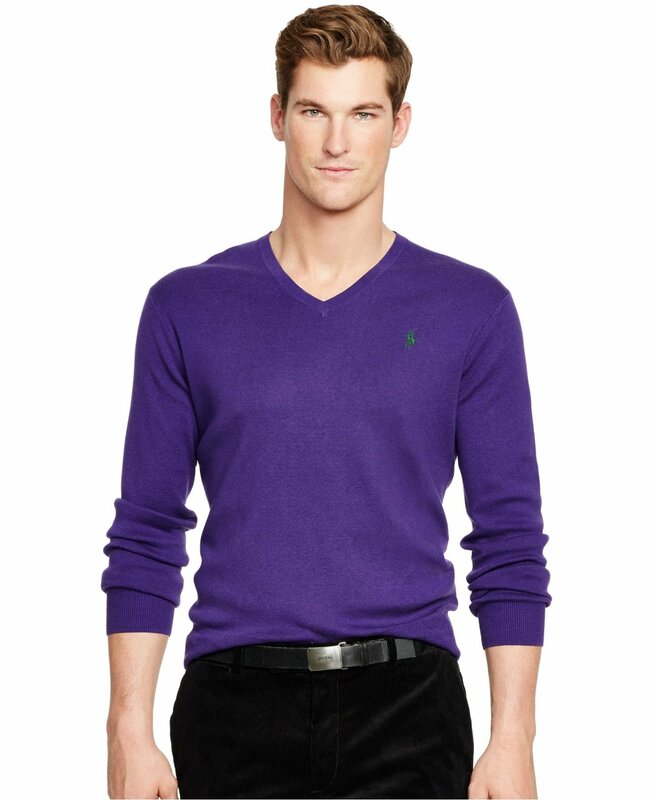 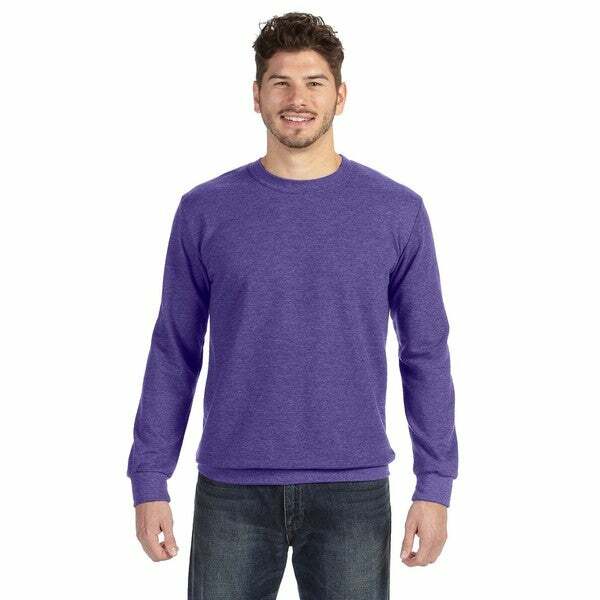 Purple v-neck sweater. 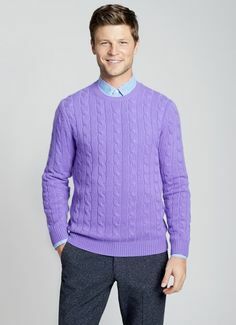 different colored flannel underneath. 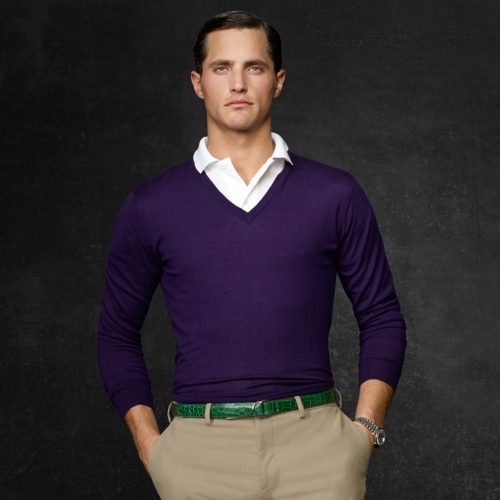 Posh, I do say.